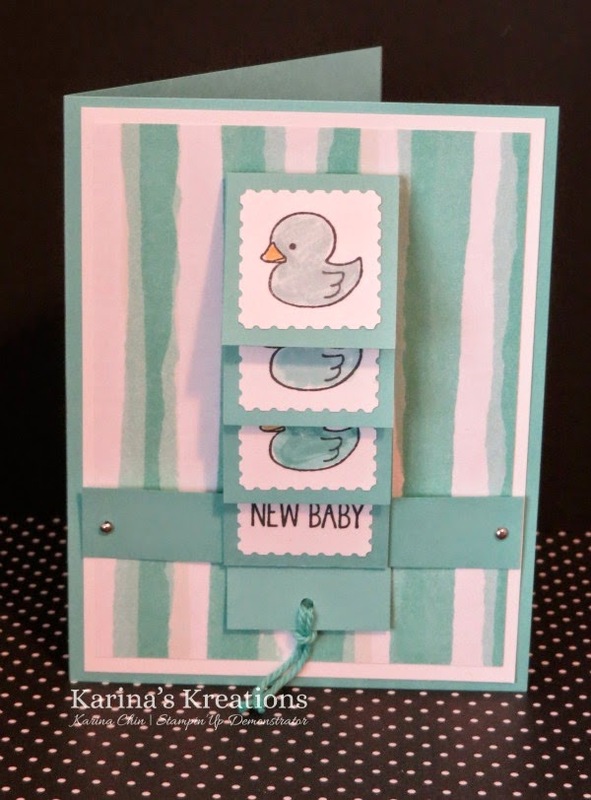 Karina's Kreations: One Tag Fits All Stamp Set of the Month! One Tag Fits All Stamp Set of the Month! I run a class called Stamp Set of the Month. 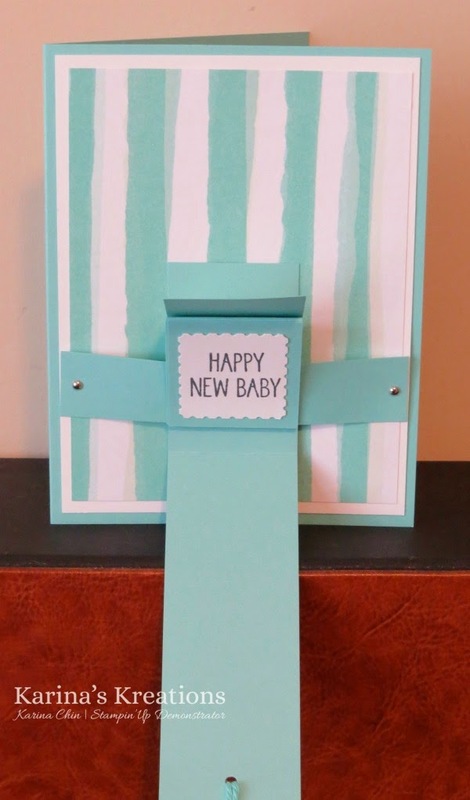 It's $30.95 and includes the Stamp Set and three hand stamped cards along with the instructions. 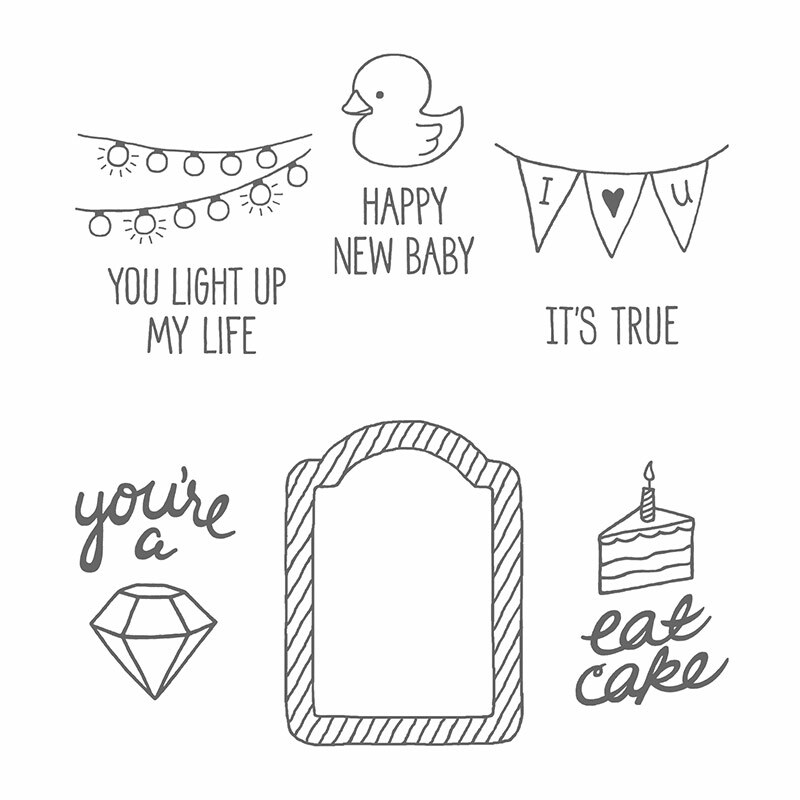 This month the stamp set is One Tag Fits All and this is one of the cards. I created a monochromatic waterfall card. When you pull the Costal Cabana Baker's Twine, the images cascade until you can read the greeting. Email me at kchin2@telus.net if you want to join in this month.